Free Big Fish PPT Template is a leisure theme. 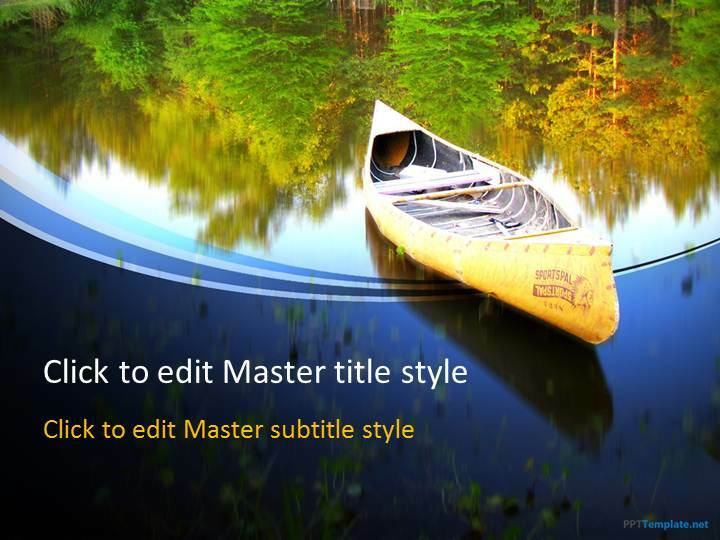 Relive the times you and a family member or a friend went fishing together. 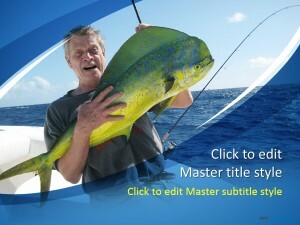 The master slide features a senior citizen posing with a big catch. 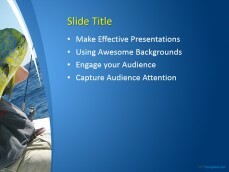 The sun is shining and it feels great on the Yacht, so make a presentation using free Relax PPT background. 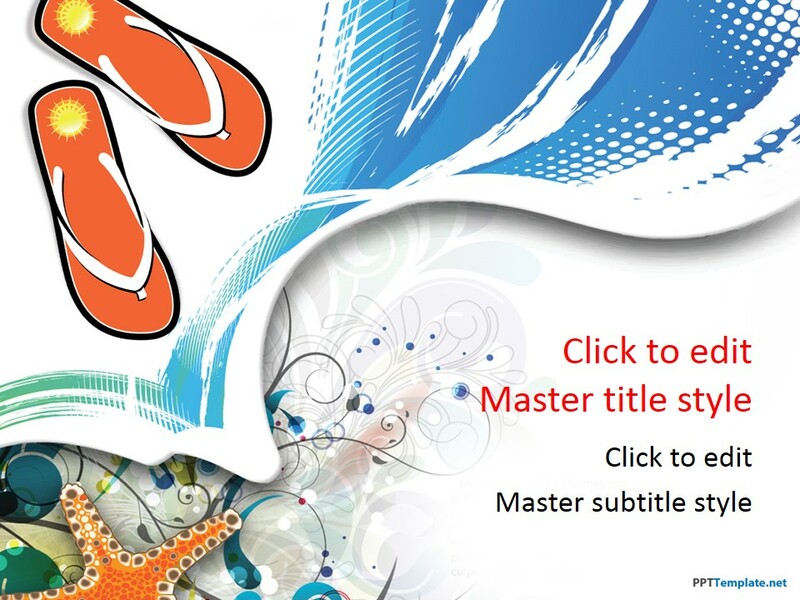 Alternatively, send invitations to friends and colleagues to join you on the next fishing trip through free Invitation PowerPoint slides. 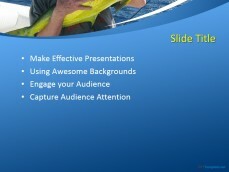 Use the free Big Fish PPT Background to make a How-To presentation and help aspiring young fishermen learn the basics, such as hand gathering, netting, and angling. 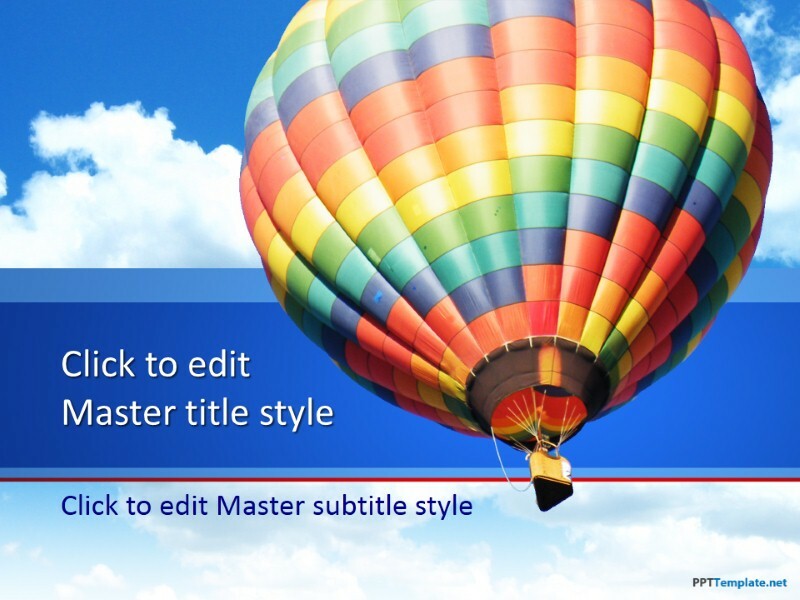 Bulleted lists are provided for noting down items to take with you on the trip. 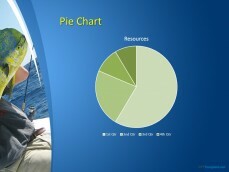 The lists may also be used by promoters of an online store that sells fishing equipment & supplies using Promotional PowerPoint free themes.